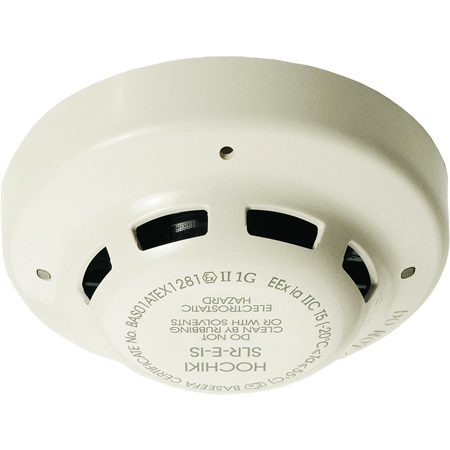 Model SLR-E-IS is a Photoelectric Smoke Detector designed for use in hazardous areas which also incorporates a remote indicator output and a removable chamber for easy maintenance. Each detector incorporates Hochiki’s unique High Performance Chamber Technology removing the need to use Ionisation detectors in the majority of applications. The High Performance Chamber has also enabled the detector threshold level to be increased, thereby improving the signal to noise ratio and reducing susceptibility to false alarms.